Was there a British Conceptualism? Previous surveys of this development have mapped a cross-Atlantic phenomenon; more recently, “Global Conceptualism” made the case for a worldwide tendency. Current retrospective exhibits of Sol LeWitt, Martha Rosler, and Cildo Meireles have instead focused on the work of a single practitioner. 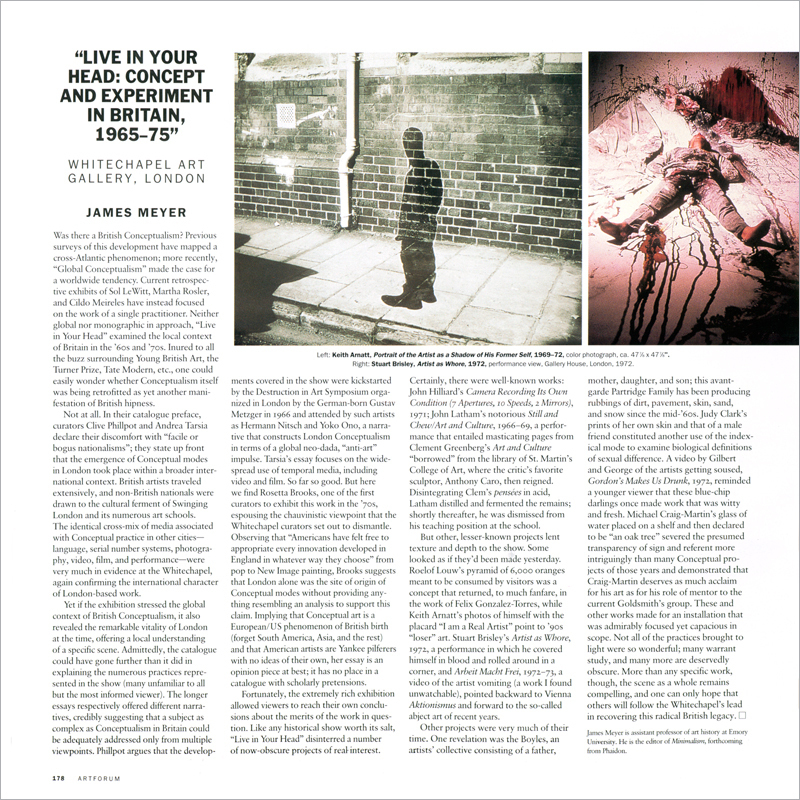 Neither global nor monographic in approach, “Live in Your Head” examined the local context of Britain in the ’60s and ’70s. Inured to all the buzz surrounding Young British Art, the Turner Prize, Tate Modern, etc., one could easily wonder whether Conceptualism itself was being retrofitted as yet another manifestation of British hipness.